Comments This is a striking – and LOUD – ukulele. 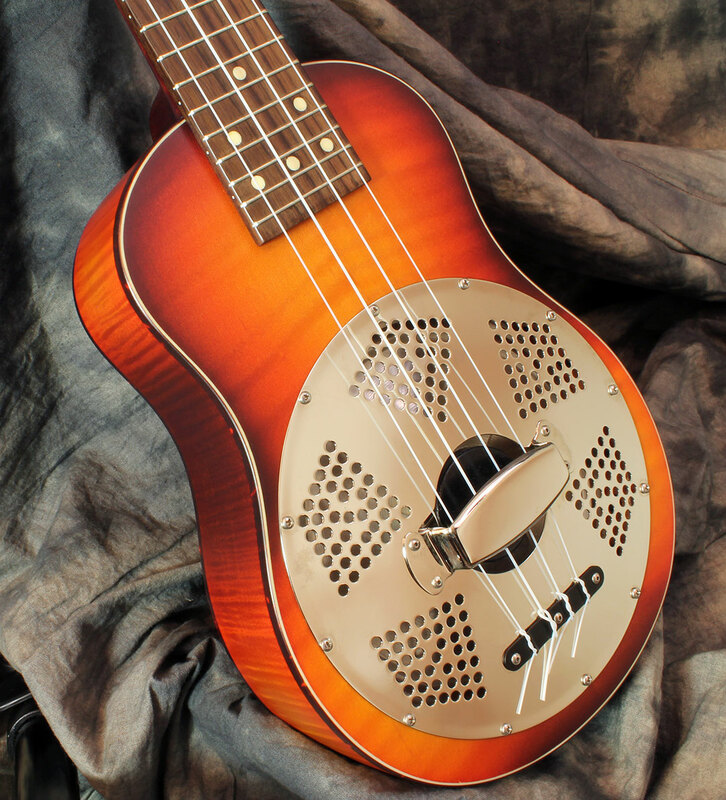 The National Resophonic Ukulele is an adaptation of the resophonic principle to the mandolin, and the results are predictable – great tone and high volume. The flame maple laminates used are set off well by the sunburst finish. Overall, a wonderful, professional grade instrument. Serial Number Varies as new; this example is 16418. Built at the National facility in San Luis Opisbo, California. Pricing $2029 Canadian dollars, or $1597 US dollars, based on 1.27% exchange rate. 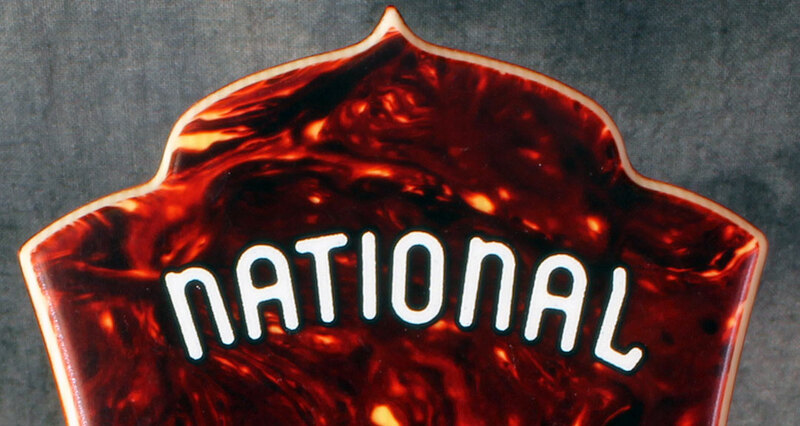 National hardshell arch top case is included. Neck Curly maple neck with unbound rosewood fingerboard. 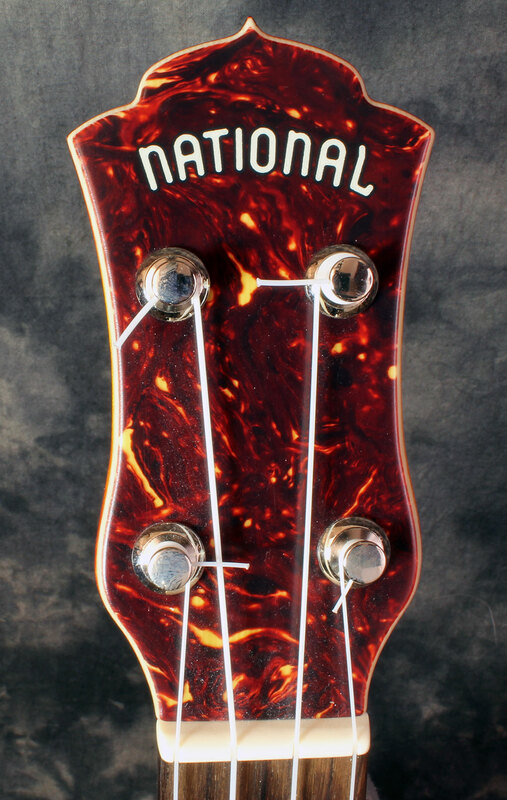 Headstock has tortoiseshell plastic overlay with National logo inlaid in white and black. Frets 15 frets to the body, 20 frets total. Body AAA figure flame maple, top and back bound with tortoise and white plastic. 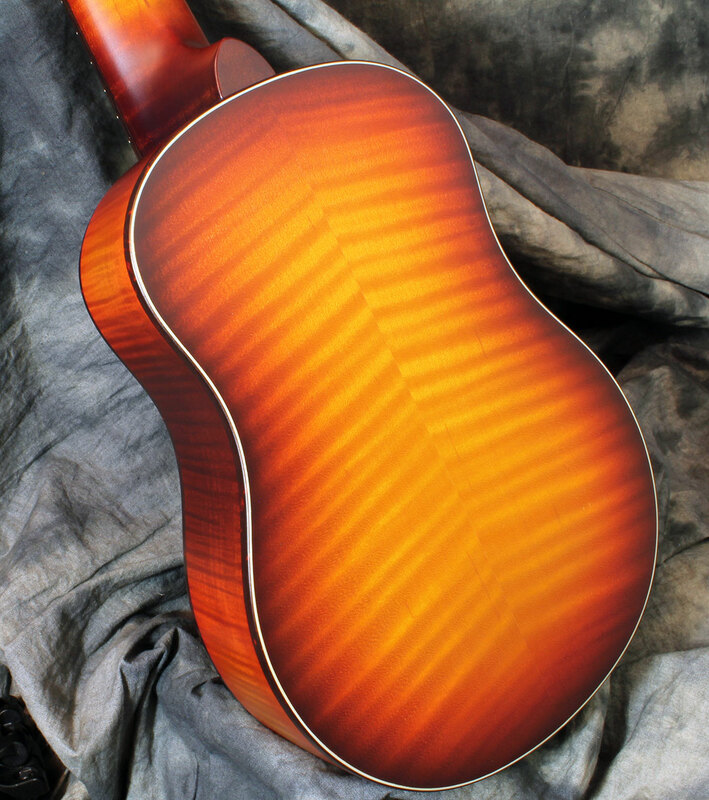 Finish Beautiful satin sunburst finish. 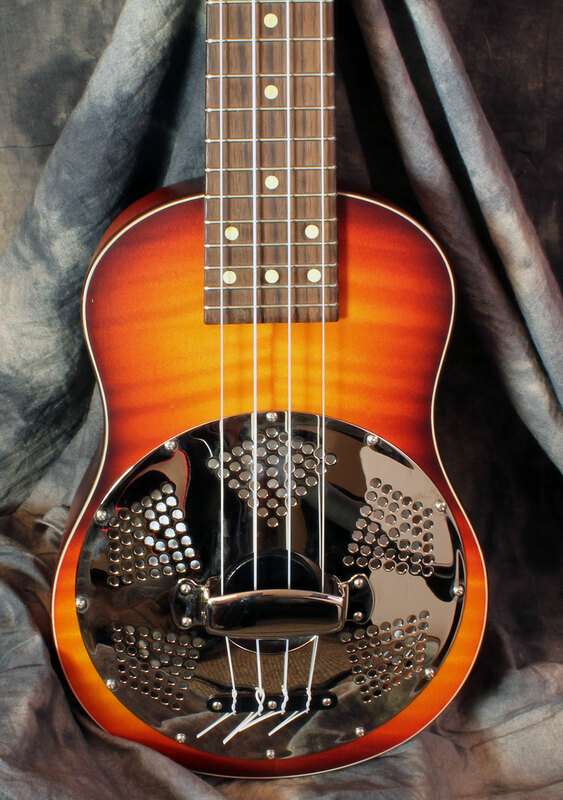 Hardware/electronics National resonator, metal tuners. Playability/Action Plays very well and we will set the instrument up to the player’s requirements. .
Case National hardshell case included. 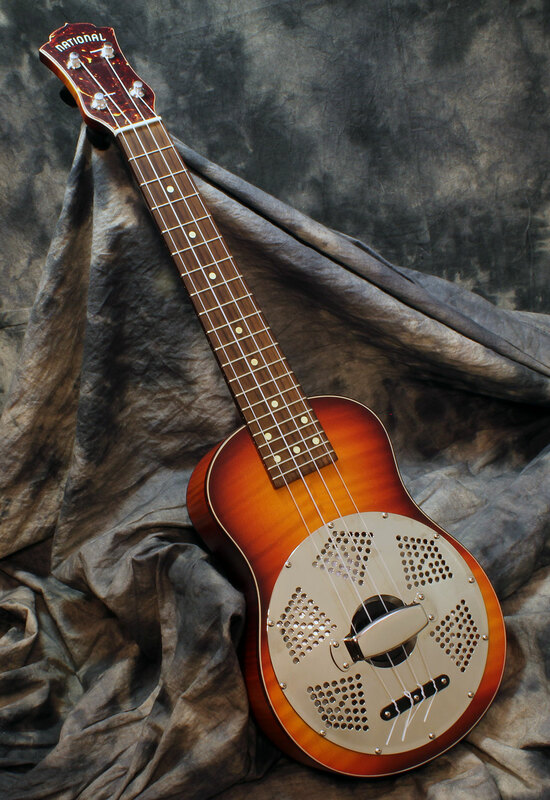 For more details and pricing visit our newer post on the National Concert Maple Ukulele here!